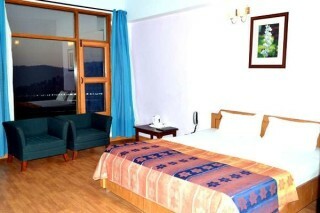 For those who are looking for a comfortable accommodation in Solan, our guest house offers a suitable room. 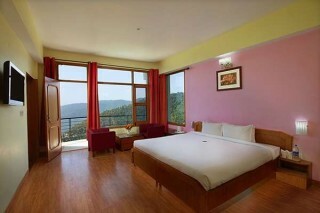 The room is furnished with a comfortable double bed, and a couple of upholstered armchairs along with a coffee table, set up right by the window, where guests can snuggle up and read a good book in natural lighting. 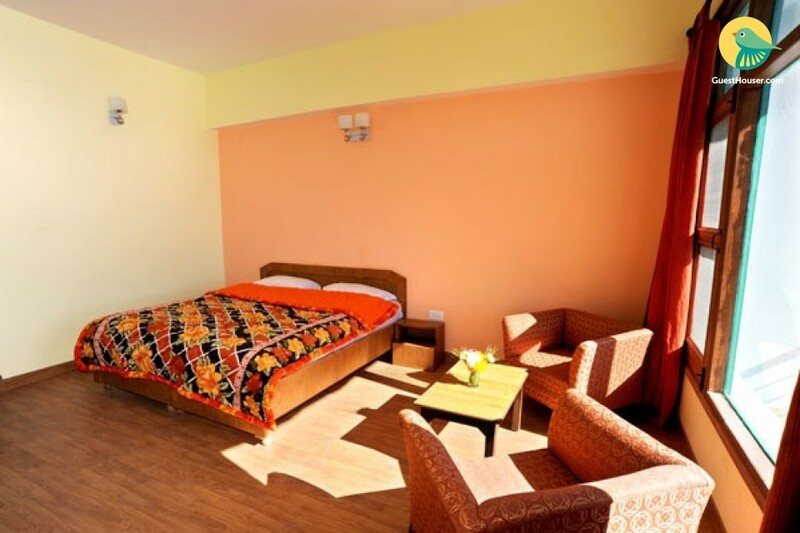 The accommodation sports laminated wood flooring which adds warmth to the ambience, and ample window space, making it naturally bright and airy. From Shimla via Kufri the distance is 45 km and via Kandaghat is 61 km. Kalka is 86 km away. Regular buses for Chail leave from Shimla, Chandigarh and Delhi.